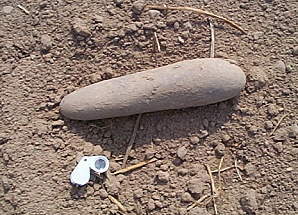 Pictured at left is a large complete pestle that measures nearly 9 inches in length. It would have been very difficult to overlook this fully exposed artifact. Incidentally it was the first find of the day and I had to carry it with me for the next 4 hours! Below is a really great little classic Lamoka style beveled adze. This one was found by my friend Dan, who's keen eyes rarely let ground stone tools escape his grasp. Yet another adze find made by Dan is shown above. This one is considerably larger (10.5cm x 6cm) than the first and displays no beveling. 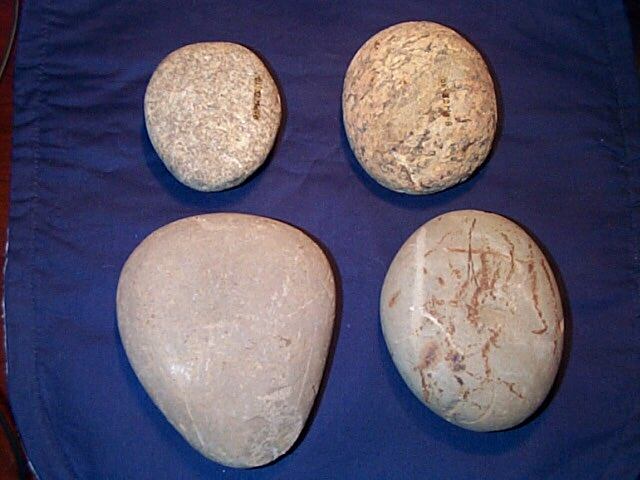 At left is a group of hammer and anvil stones. 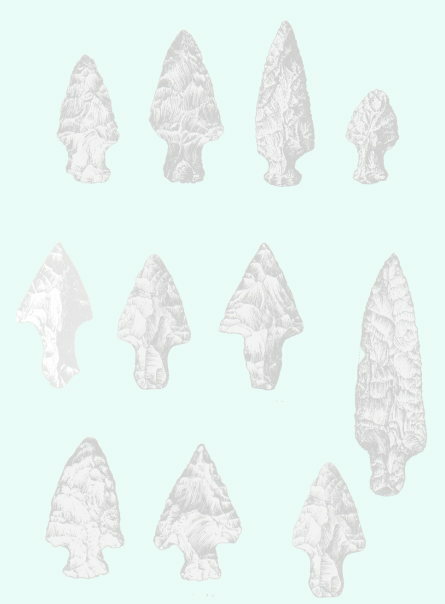 The top two hammer stones have use-wear around the edges from use during knapping. The anvil stones, or nutting stones, at bottom display pitting that is typical of such finds.